Joe and Terry Graedon have become two of the nation’s leading health care authorities. With backgrounds in pharmacology, nutrition, and medical anthropology, the Graedons have joined forces to explore the most interesting, compelling, and controversial health and medical issues of our time. And they do it in a fun and entertaining way. 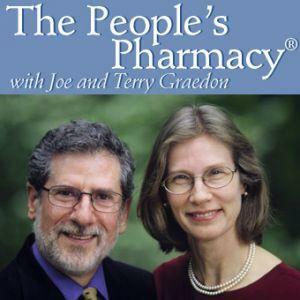 The People’s Pharmacy features nationally recognized authorities on medicine, mental health, nutrition, fitness, and related issues. Guests discuss current issues and answer call-in questions from listeners.